From all I have read, Jane Parker was a spiteful, embittered woman who loved intrigue. George Boleyn detested her, and this probably had an effect. Also, Henry VIII was known to desire a male heir; his only son Edward was sickly and unlikely to live long. Had Catherine Howard become pregnant, her influence woud have grown (and thus, by association, Lady Rochford's influence). A pregnancy would also provide a safety measure for Catherine, since Henry's matrimonial track record was not good. 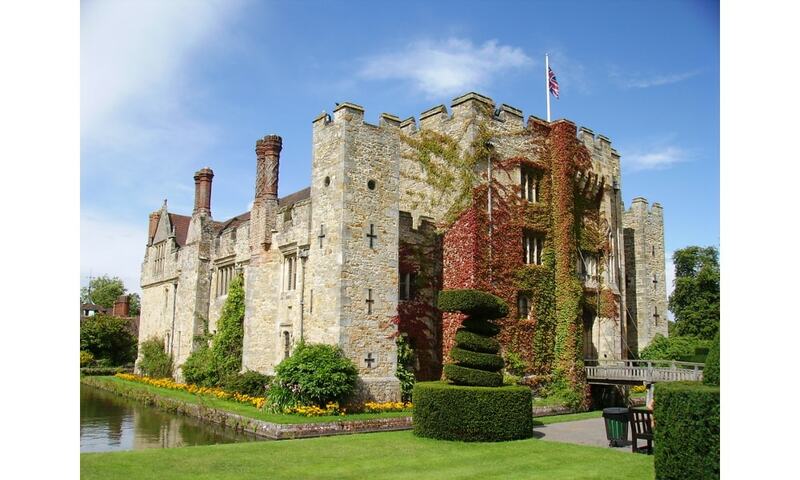 I visited Hever when it belonged to the Astor family. There were some interesting portraits of the Boleyn family, Henry VIII & other Tudors, a bedhead owned by Ann Boleyn, some papel papers relating to Henry's divorce & Ann Boleyn's autograph. The castle was used for the filming of Ann of a Thousand Days, so it was very enjoyable visiting some of the important scenes from the film such as when Henry is first seen by Ann from the courtyard of the castle. I am not sure how much of this is still on show to the public, but it is a beautiful place to visit. I still have the guidebook if anyone wants to know more about the rooms & contents of the house. Not to get off point, because this thread is about Hever Castle, but wasn't Jane Parker mentally unstable? Or am I getting this from poetic license taken with books and movies about the Tudors? Yay, now I am a serene highness! Whether she was truly unstable, or merely pretended to be to save her life, is uncertain. Eventually she was executed, so no matter what her mental state, it didn't save her. King Henry VIII visited Hever Castle. Edward was not sickly, and we dont relaly know much about George Boleyn's relationship with his wife. Novelists have portrayed them as disliking each other and her being jealous of his love for Anne but it is not really clear what made her say something about Anne and George..Its possible that what she saiad to Cromwell could have been twisted. A quick image and a link. Think it might help.